Sunan Kalijaga State Islamic University (UIN Sunan Kalijaga) continue to craft its path to achieve its vision as the World Class University. SAVIOR (Student Academic Visit to Foreign Countries), as a program under the Center for Developing Cooperation and International Affairs (CDCIA), marked the milestone of internationalization of the university. SAVIOR open up an opportunity for students to experience academic ambience of reputable universities overseas. This program is designed for students who have passion in research and professional development in an international setting. SAVIOR army is a very prestigious award and fully funded program for UIN’s students. SAVIOR “army” –the chosen students named themselves- will be participating in lectures, academic activities, social events at the National University of Singapore (NUS) from 2-16 October 2018. Singapore’s Army is the last batch in this program, following their fellows who have completed their SAVIOR duty to Chiang Mai University (CMU, Thailand) and University of Sultan Syarif Ali (UNISSA, Brunei Darussalam) in September. Two mentors were designated to help the Army completed their mission, Achmad Uzair and Eka Sulistiyowati from CDCIA. 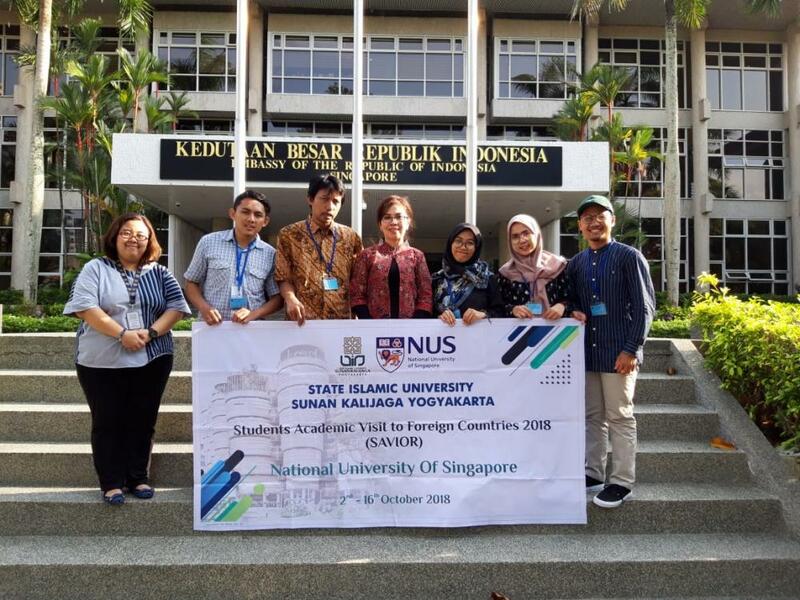 Uzair mentioned that there are four students chosen as Singapore Army, Dian Puspitarini from Arabic Languange Study Programme, Noory Annisa from English Literature Study Programme, Suheri from Al-Quran and Tafsir Study Programme, and Zida Elvada Adilaide from Syariah Banking Study Programme. Suheri, a member of the army, stated that SAVIOR enriches his point of views, especially in helping him to establish research questions for his final research project. He adds, “SAVIOR opens the door for students to participate in the international arena”. (IO/ES).